Travel Write Draw: First Class to Lisbon, Portugal with United Airlines!! First Class to Lisbon, Portugal with United Airlines!! I hope you all had an amazing month of April. Looking back on the blog, I realize that it was already one month ago that I left for Japan!! I was only back in NYC for 6 days before leaving to Portugal with United Airlines and Corinthia Lisbon from April 24th - 29th and simply ran out of time to post on my blog ;p!! So without further adieu, I would LOVE to share with you my experience from this extraordinary adventure. United Airlines flew myself and 3 other journalists first class to Lisbon, but the journey really began the minute we checked in at Global Services in Newark's Terminal C. We were escorted to the gorgeous United Club (see below left) where we had cocktails and got to meet our travel companions. Needless to say, we did not go hungry. 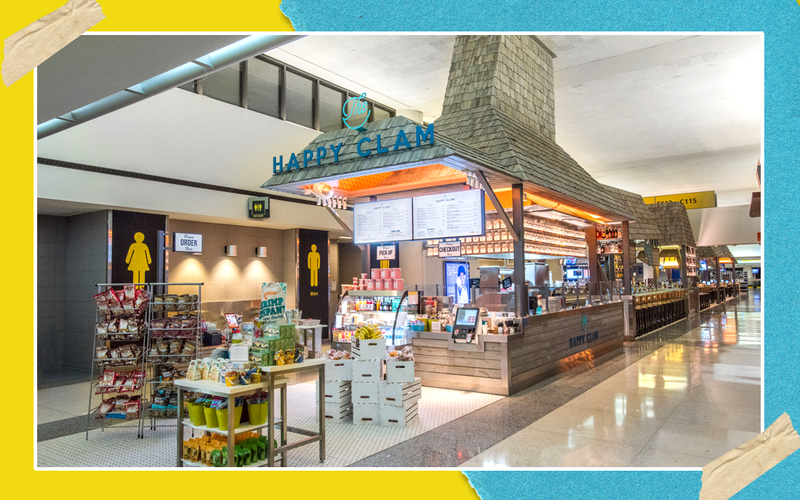 It was so interesting to see all the new restaurant concepts in the terminal, from Happy Clam (see above) to the future Dumpling House. 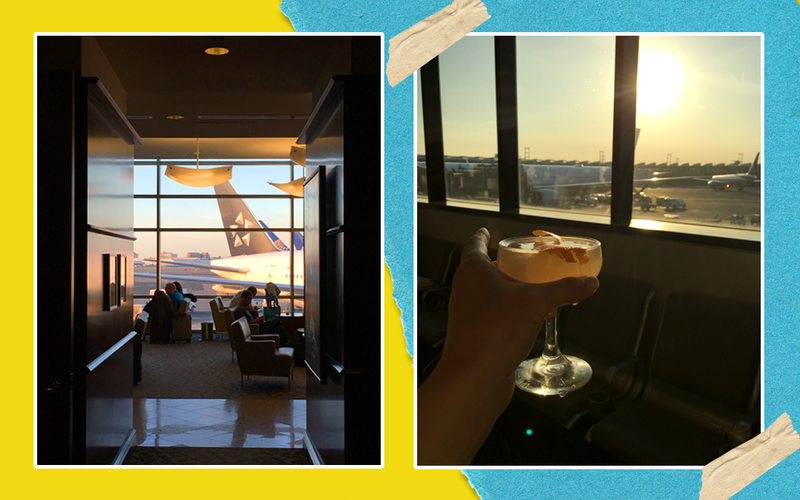 They are bringing the experience you have eating out in Manhattan to the airport, and making quality food in a chic setting that reshapes the way we perceive airport dinning. 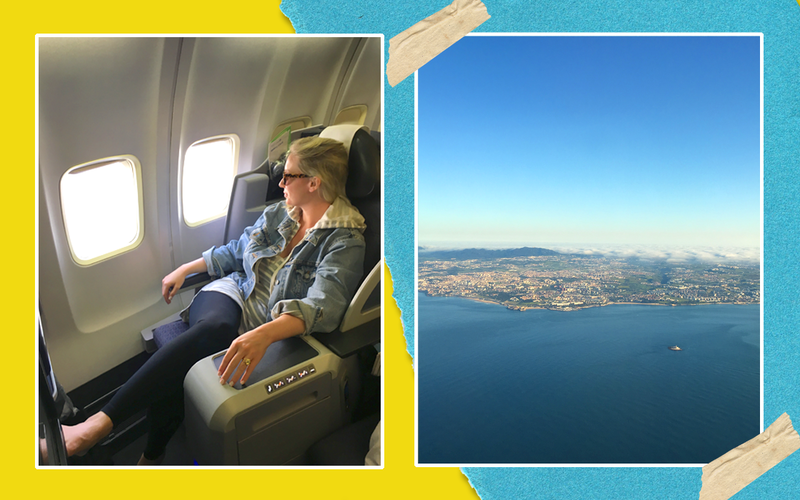 I will never forget my first view of Lisbon from the sky when we landed bright and early on Monday morning. I'm not exactly sure HOW I'm supposed to adjust to flying economy overseas ever again but I guess my cinderella moment can't last forever ;P!! I just want to express my deepest gratitude to United Airlines and OTG for showing my travel mates and I the most incredible commute to Portugal. So many magical memories stay with me but especially the hospitality and generosity of their teams. 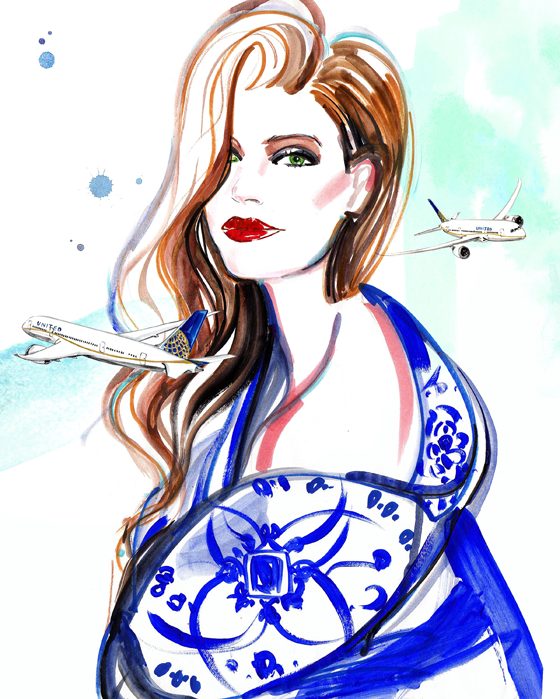 SO excited to share with you my new illustration and Postcard from Corinthia Lisbon, Portugal coming up shortly. The one I created above was inspired by the feeling of first class with United and the blue & white tiles of Lisbon. Stay tuned for more my darlings! !